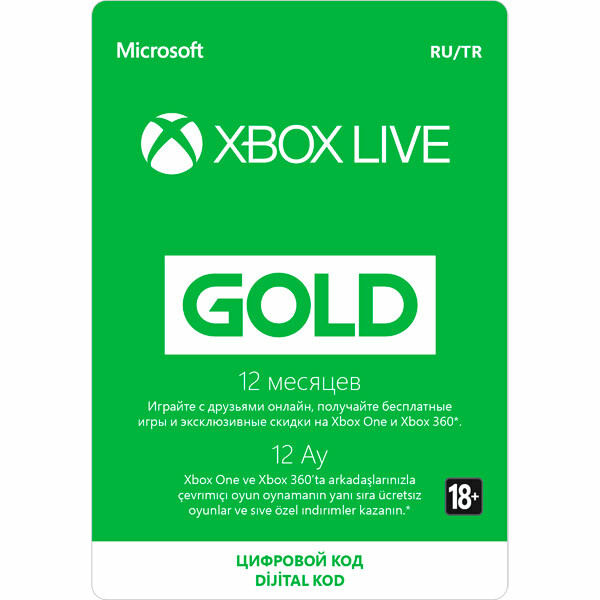 The owner of the Xbox LIVE card for 12 months gets the "Golden" status. The card will be a good gift to a person who is fond of computer games and has an Xbox One or Xbox 360 gaming console. Each month, the cardholder gets access to free games. The list of games is constantly changing, so the entertainment will be as diverse as possible. The card provides access to an advanced multiplayer mode, which makes games even more exciting. Also, the owner can count on exclusive discounts in the Xbox store. Using the card is very simple. To activate it, just log in to your account and enter a digital code. - enter the purchased code.